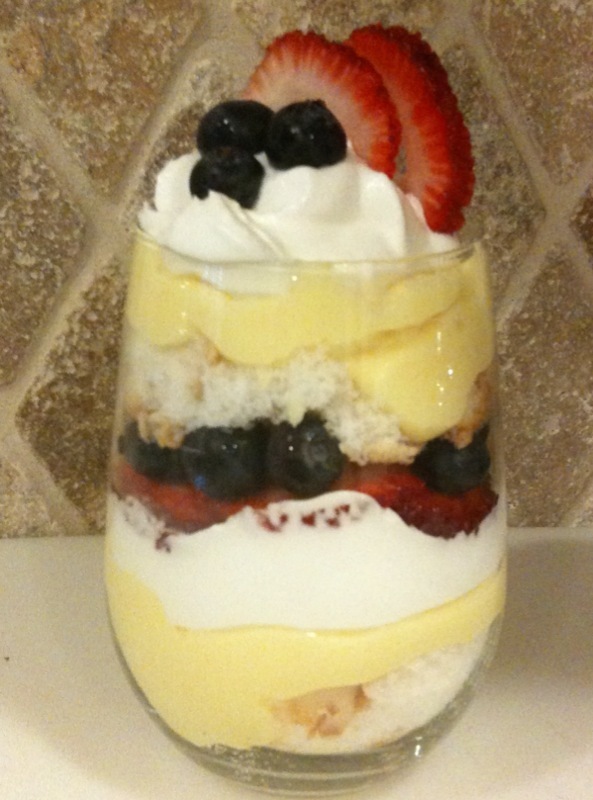 I served these light & yummy parfaits yesterday at our family’s Memorial Day celebration. The colors from the fresh strawberries & blueberries give it that patriotic flair. They were such a huge hit & so easy to make, that I decided that I had to share them with you. Prepare ahead of time or set out ingredients & let guests create their own layers. 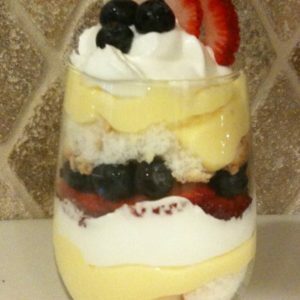 1) In a tall clear glass, so that all of your layers are visible, (we used stemless wine glasses), layer ingredients in this order: angel food cake pieces, vanilla pudding, cool whip, strawberries & blueberries & repeat.